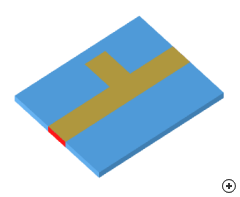 Image of the Microstrip stub matching transition. 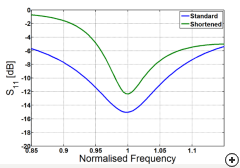 Open- and shorted shunt- stub matching transitions are very useful when matching antennas with complex input impedances. By improving the impedance match between the antenna and the system, power transfer can be improved resulting in more efficient system performance and higher effective antenna gain. 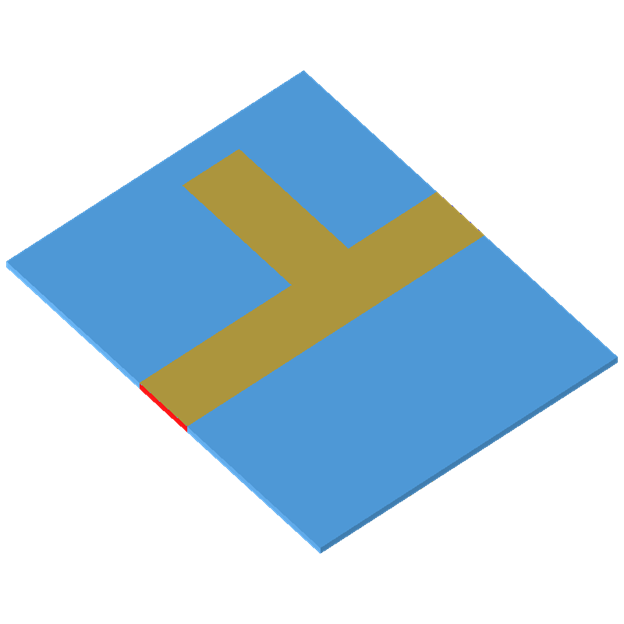 Antenna Magus offers two different design approaches for the transitions. The 'standard' approach provides a physically longer transition than that of the more compact 'shortened' design - but the 'standard' design has a wider operational bandwidth and better match. 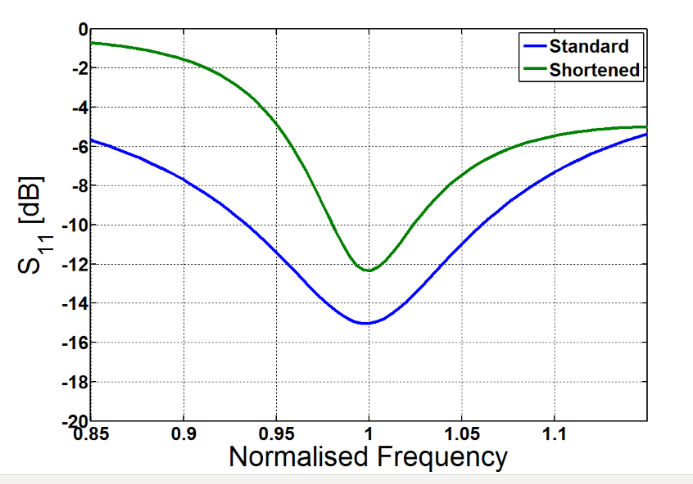 The results shown below is for an open-circuit shunt stub transition designed at 10 GHz on a 1 mm thick substrate with a relative permittivity of 2, and transform a 100 + j100 Ω impedance for connection to a 50 Ω system. Open circuit shunt stub S11.